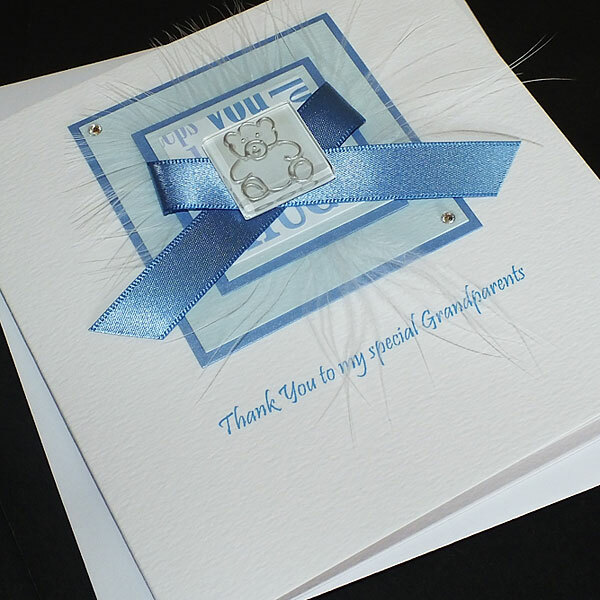 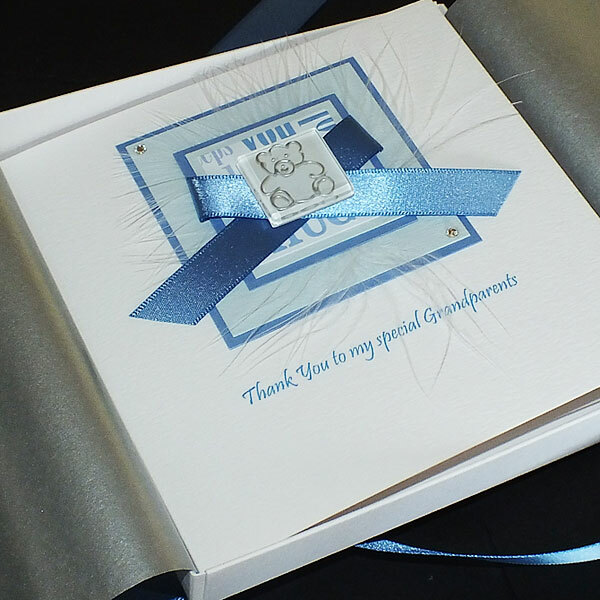 Personalised Thank You Card "Blue Teddy"
A lovely card with a hand painted Teddy to say thank you for gifts given for a New Baby Boy or Boy's Christening. 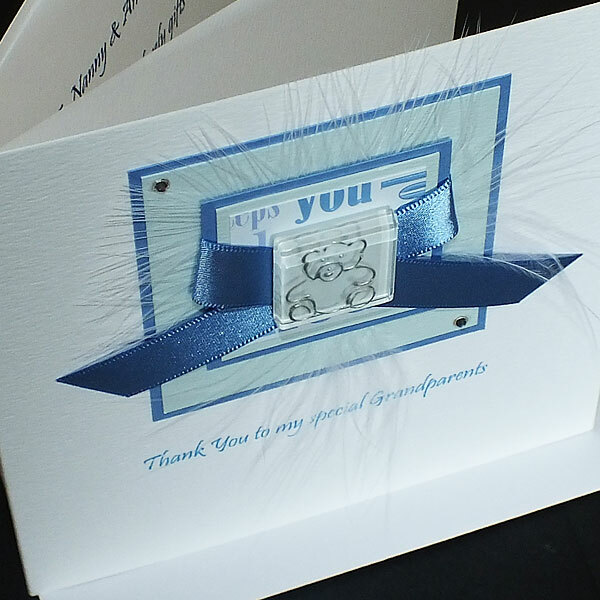 Also available in pink for a New Baby Girl. 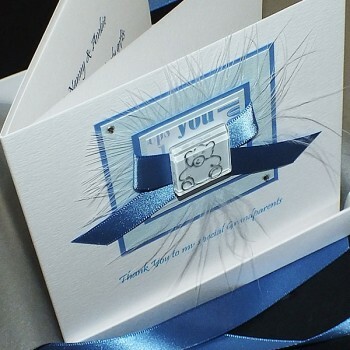 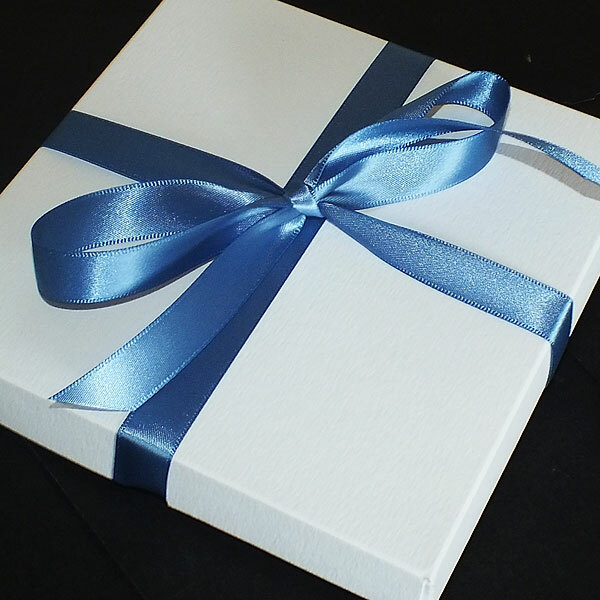 The card can be supplied with a white envelope or a smooth matt white box lined with tissue paper and wrapped with a satin ribbon.